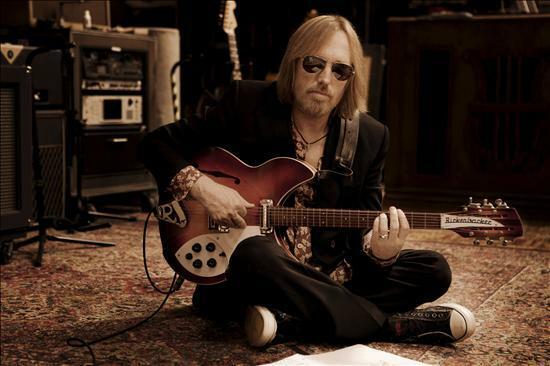 David Myhr welcomes Tom Petty to Europe by singing “Wildflowers”! I saw him live in Stockholm in ’93, and I saw him at Hollywood Bowl, L.A. (where I amazingly have played myself two times), in 2006 (with my hero Jeff Lynne as a guest! ), and now it’s time again to welcome him to Europe after twenty years! So while waiting for my solo album Soundshine due for release in Europe on Lojinx this spring I thought this was enough reason to have a go at one of my favorite Petty songs – “Wildflowers”. Just like I did with ABBA’s “Happy New Year” a couple of weeks ago I decided to keep it simple; one voice – one guitar. As I said then I’m often tempted to add layers of vocals and lots of overdubs. It’s like Jeff Lynne said in this interview “I used to think that more is more, I just loved to overdub.”. I didn’t intend to make the song “my own” by changing it around too much which is normally recommended when making cover versions but I just think it’s perfect as it is. Sorry for that! Hope you enjoy! Please feel free to share the YouTube clip or download a free mp3 (“arrow pointing down”) or share from the Soundcloud player above.